Our Personalised Easter Egg Gift Tin is an alternative Easter Egg! 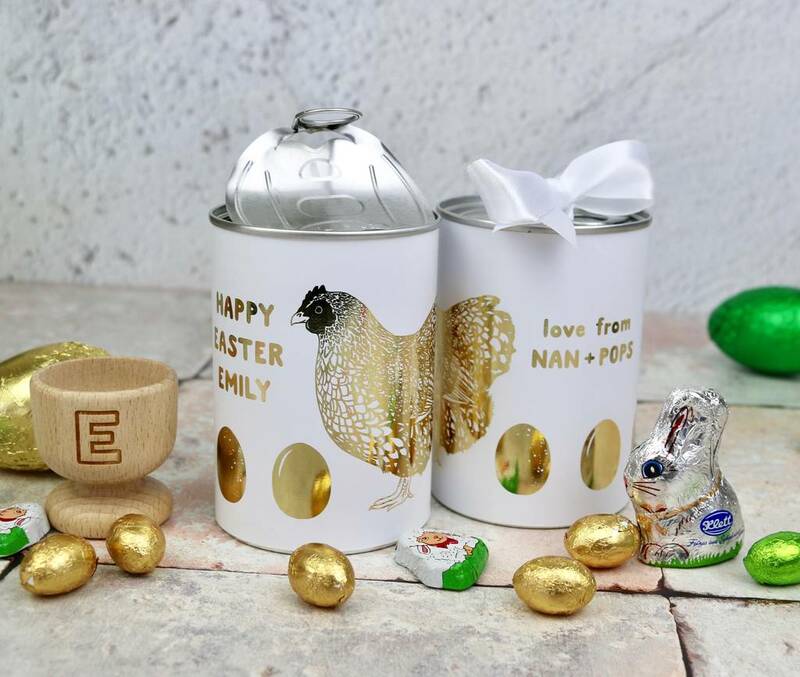 This Easter Tin is filled with delicious chocolate and is sure to please. An alternative Easter Egg! 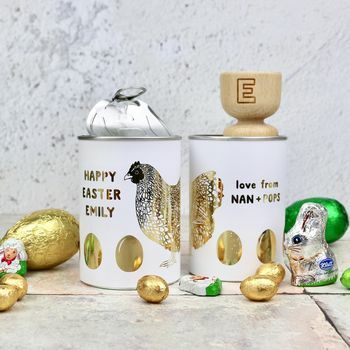 Our unique and beautiful Personalised Easter Egg Gift Tin is personalised with the names of both the recipient and giver. 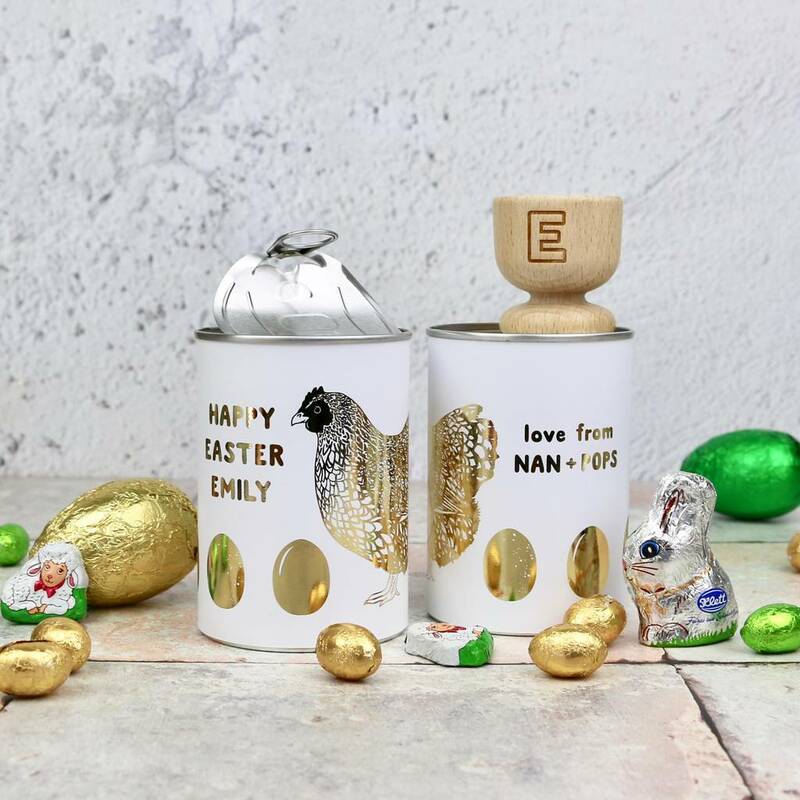 It is full of foil wrapped chocolate - little easter balls, an easter bunny, spring lambs and a larger egg to fit in the personalised wooden egg cup.